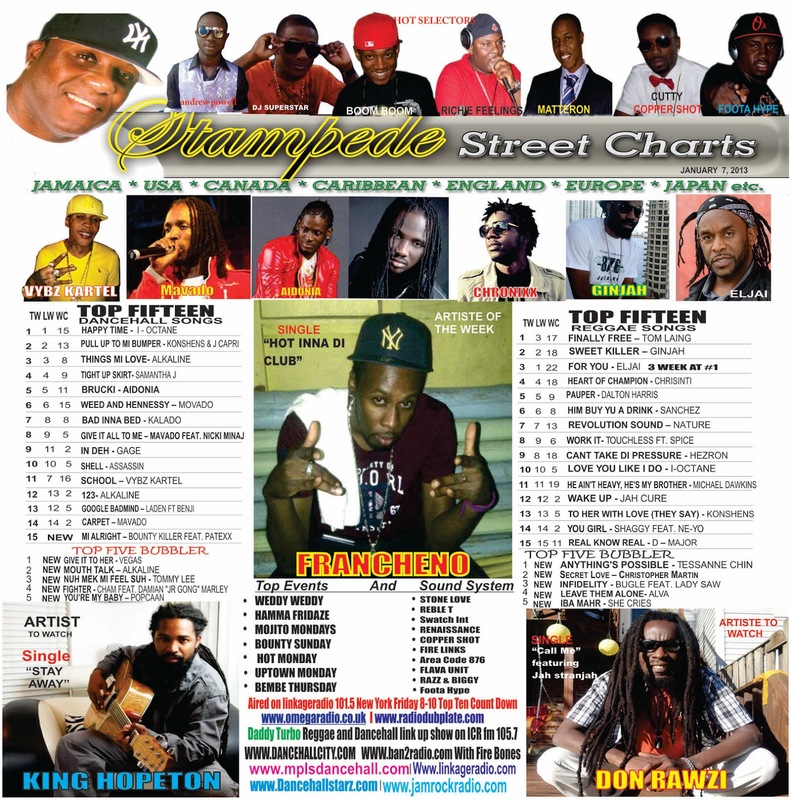 This week Street Charts roundup: King Hopeton featured as reggae artiste to watch. Fran Cheno featured as artiste to watch. 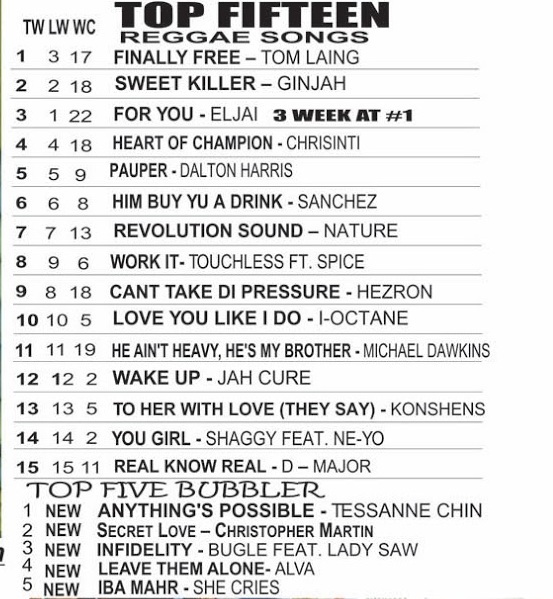 Don Rawzi featured as new reggae artiste to watch and Tom Laing takes the number one reggae spot with the hit single ‘Finally Free’. 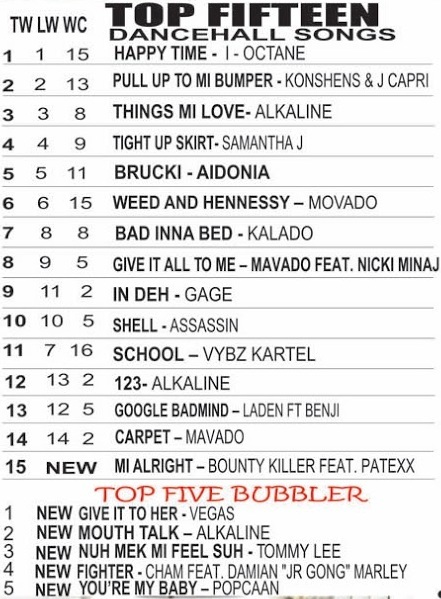 I Octane remains at the number one dancehall spot with the hit single ‘Happy Time‘.